I remember her dressed as a police woman for some reason, will go check after breakfast. 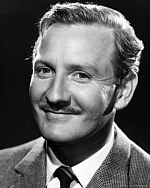 Leslie Phillips, my avatar, is still alive. he's 94. Well Hello!! Aww fabulous guy,loved him in anything..
Yup, great personality. Doing well for 94 too. Channel Hopper wrote: I remember her dressed as a police woman for some reason, will go check after breakfast.